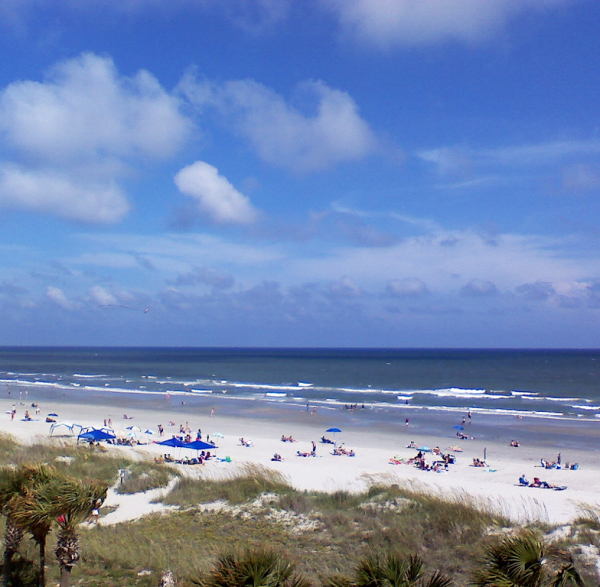 Above all else, vacationers come to the resorts and hotels in Myrtle Beach for one thing: the glorious beaches. Having lived here for the past 11 years, I’ve seen almost every mile of its shore. 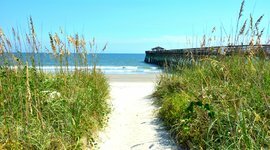 And over time I've discovered the four best beaches in Myrtle Beach as there's something unique for every group and family. Whether you’re all about the action, prefer a quiet stretch to make sandcastles, or want to explore the natural world of the South Carolina coast, there’s a beach for you! 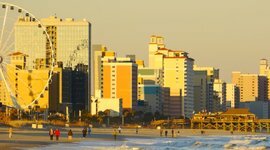 When you think of a vacation with lots of hustle and bustle, downtown Myrtle Beach is where you want to be. 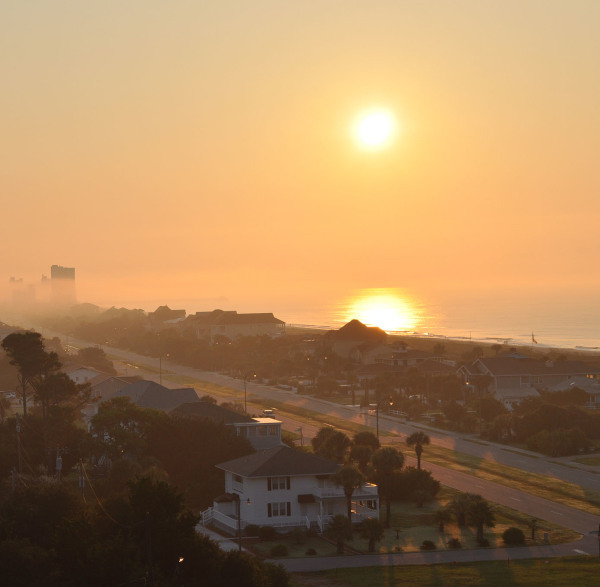 It’s in the heart of the Grand Strand and lined with high-rise resorts and hotels. The actual beach here is electric — alive with visitors, music, and activity. 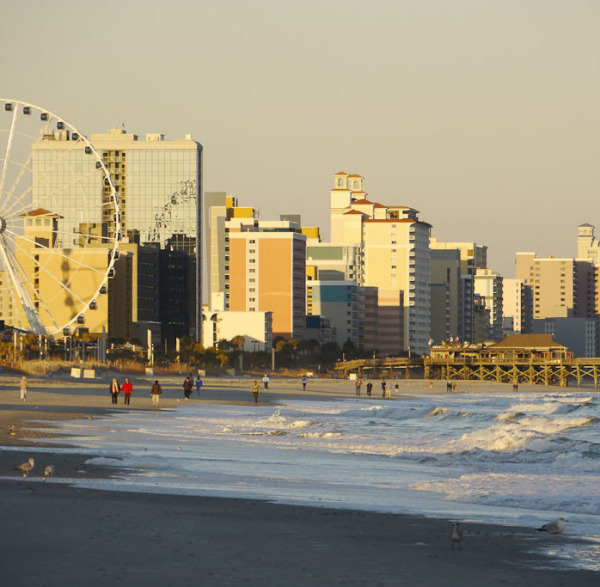 You’re in walking distance from lots of restaurants, and several of the area’s most iconic attractions, including the Myrtle Beach Skywheel and the Ripley’s Believe it or Not museum. Last, and possibly most fun are the watersports and fishing piers. For those nervous about swimming and playing in the ocean, keep in mind that this area has the most lifeguards between Memorial and Labor Days. Local Secret: While downtown Myrtle Beach is the busiest area, you could park your car here for the week and not have to drive once. There's so much to do in walking distance. This area also attracts the widest age-range in visitors, which is important to note if you’re visiting during Spring Break. So if you're looking for actin and people watching, this is one of the best beaches in Myrtle Beach. If you want all the fun of downtown but in a slightly quieter setting, North Myrtle Beach is a good fit. The beaches are just as lovely, but with its mix of homes and hotels, it’s not quite as busy. 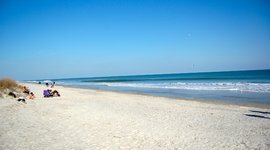 This fantastic stretch of pristine beach in the Myrtle Beach area is nine miles long and well suited for families with small kids as the waves are mellow and the break is shallow. Choose between Cherry Grove, Ocean Drive, Crescent Beach or Windy Hill. While there may not be as much to do within walking distance, don’t let that sway you. North Myrtle Beach houses Barefoot Landing, an outdoor shopping center that’s overflowing with restaurants, entertainment, and attractions. Are gators your thing? You can get an up-close view of them at Alligator Adventure. Want to see some great music? Check out the House of Blues for a night out. Local Secret: North Myrtle Beach’s newest attraction takes you off the beach – and off the ground, for that matter. Located in the new sports and recreation complex, Go Ape is an outdoor adventure filled with ropes courses and zip lines sure to thrill the adrenaline junkies in your family. 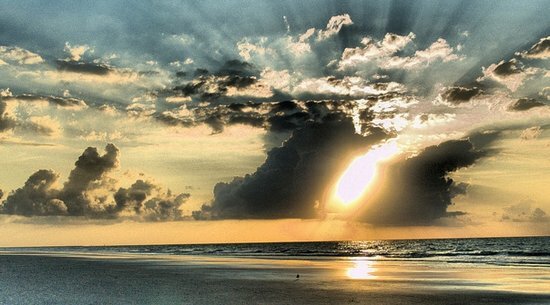 If you’re looking for the quietest and least-crowded beach on the Grand Strand, head south. 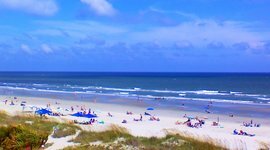 The beaches of the South Strand, including the towns of Surfside Beach, Garden City, Murrells Inlet, Litchfield Beach, and Pawleys Island, are lined with private homes and condos. This means less people, in general. If you dream of being able to spread out, this is your place. The views here are breathtaking and it’s actually worth coming to these beaches in Myrtle Beach one morning for the sunrise. You’re less likely to be bothered by loud music and lots of conversation. Sit back while the kids build an epic sandcastle. Local Secret: Garden City is a favorite spot for local and visiting surfers. 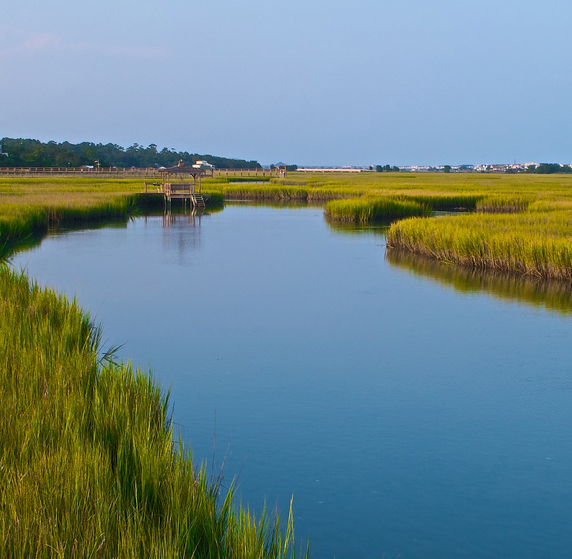 The Murrells Inlet Marshwalk offers a variety of restaurants and stunning views of the inlet. It’s also home to the Crazy Sister Marina, where charter fishing boats, dolphin tours, and other recreational crafts launch for a day on the water. If shopping is on your schedule, head over to the Hammock Shops in Pawleys Island. They’re a blend of classic, modern, and unique, and feature, as the name implies, handmade hammocks, gourmet items, clothing, and more. State Park Beaches in the Grand Strand: All Natural! Nature lovers, I’ve saved my favorite for last. While nestled in the other areas I’ve already listed, the state parks in Myrtle Beach's Grand Strand are experiences all on their own and offer the best views. Myrtle Beach State Park is located just south of downtown in Myrtle Beach. 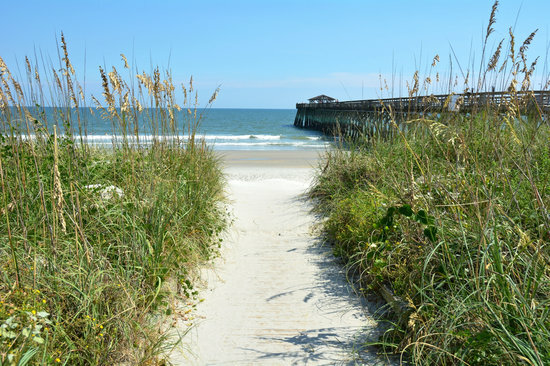 As you drive into the entrance, you’re immediately taken to a place that looks almost foreign when compared to other beaches in Myrtle Beach. You’ll travel through a lush maritime forest rich with life that transforms into dunes and sea oats onto the beach. Huntington Beach State Park is in Murrells Inlet and instead of driving through a forest to get to the beach, you’ll pass through a Carolina swamp. The park is home to spectacular wildlife, including alligators, so make sure to have your camera ready! Local Secret: Both parks have a nature center where visitors can learn about the critters and climate found on the South Carolina coast. They also offer a robust schedule of science and educational programs geared towards ages 5-105. Some are taught in a classroom, others have you out in the ocean. 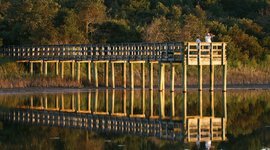 Admission is required for day visitors and an annual pass, which grants unlimited admission to ALL South Carolina state parks, is available for those who plan to return. 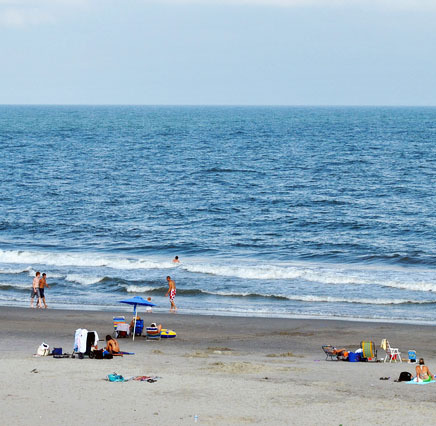 No matter which type of beach you choose while visiting the Grand Strand of Myrtle Beach, you’re sure to find yourself with as much (or as little) to do as you like. All the area has to offer is just a short walk or drive away. 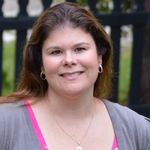 For more great advice by Melissa check out her blog MyrtleBeachforFamilies.com. She's also a regular contributor for the BabyCenter Blog. 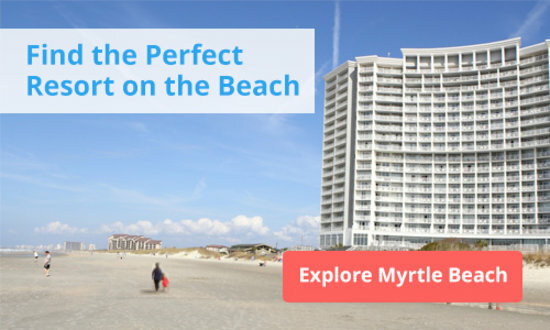 It's what you think of when you think of Myrtle Beach. Warm sands, a boardwalk with restaurants and attractions, and tons of energy.